In the ever-changing media landscape, there can be little doubt about the importance that social media now plays for businesses large and small. From engaging with clients and customers, to encouraging more people to visit your website, social media is a necessity for any business or organisation operating in the 21st century. Our expert team can provide all the support required to successfully set up and manage your social media accounts across multiple platforms, including Twitter and Facebook. With all our clients we initially scope out what you seek to achieve from social media and tailor a plan to suit those objectives. Points of discussion include the tone you would like to take – and the information you would like to put across. From there, we can set up an account, or update an existing account and begin to build your following through a blend of relevant and interesting content, and interaction with partners and stakeholders. To gauge success and monitor progress, we provide monthly reports highlighting key statistics, as well as developing ideas to continue to move your feed(s) forward. Our existing portfolio of day-to-day social media management continues to grow and includes accounts across a number of platforms – but most prominently Twitter and Facebook. One of our largest accounts is the Road Safety GB Twitter feed, which as of July 2017 has 16.3k followers. Day-to-day responsibilities including tweeting news updates and engaging with other stakeholders/accounts. We also launch new accounts for our clients, one example being the London Road Safety Council for whom we set up a Twitter account in April 2016. In that time, we have helped the account amass more than 400 followers – a figure that continues to grow. The LRSC Twitter account also helped the organisation provide live coverage of its Centenary Conference in January 2017 – and the efforts of our team in providing on-the-spot updates were praised by LRSC President James Cracknell during his speech at the event. For a number of clients, we manage multiple social media feeds. One example is Mackley, for whom we run both Twitter and Facebook accounts. Set up this year, the Mackley Facebook account is still very much in its infancy but as of July 2017, the account has almost reached 100 likes. We also run multiple feeds for our own ‘Morning After’ drink drive campaign. During 2016 we ran a Facebook competition (account has 1,764 likes) which attracted more than 2,000 entries. 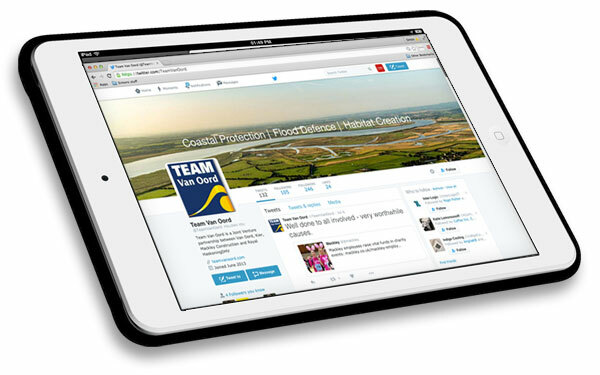 At Stennik, we also run accounts promoting specific events including the annual Country Range Group Exhibition and Conference (Twitter), Young Driver Focus (Twitter) and the National Road Safety Conference (Facebook). To find out more about what we can do for you and your business, don’t hesitate to get in touch.